Does anyone know anything about this? 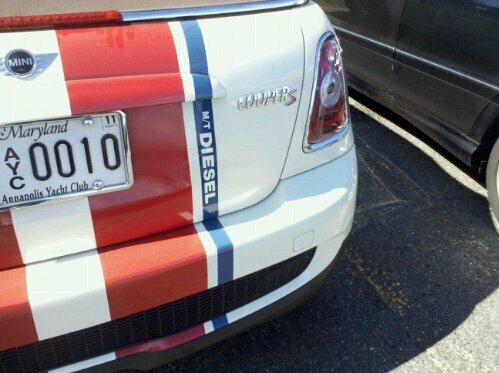 Is this a legitimate Diesel MINI, or just somebody’s personalized paint job that coincidentally rings some bells? Update: turns out it’s just a reference to car being a “tender” for the owner’s boat and is NOT a diesel, as per the comment he left. Case solved.